It’s Saturday night and the biggest talent show of the year on British TV. Cue the music, cue the acts, cue the eggs! Whilst North Wales opera act ‘Richard and Adam‘ sang on stage and headed towards the final verse of their performance, the doors behind them opened and a choir joined in the singing. 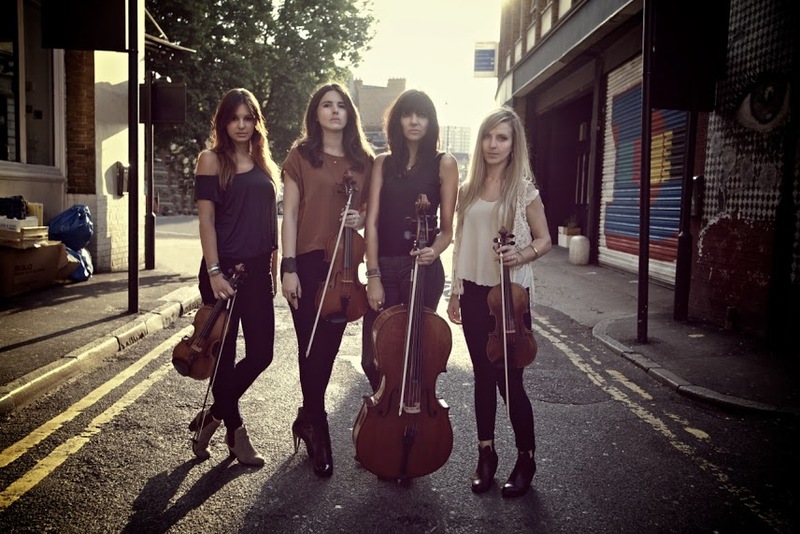 Viola player Natalie Holt ran from the orchestra straight between the singing opera stars and began throwing items at the seated judges. 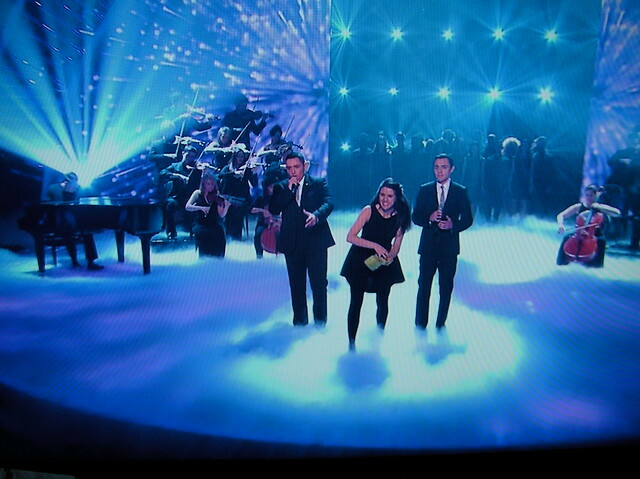 Numerous eggs were thrown towards Simon Cowell, Alesha Dixon, David Walliams and Amanda Holden. Producers quickly cut away from the action whilst the opera singers seemlessly continued their performance regardless of what else was happening on stage. 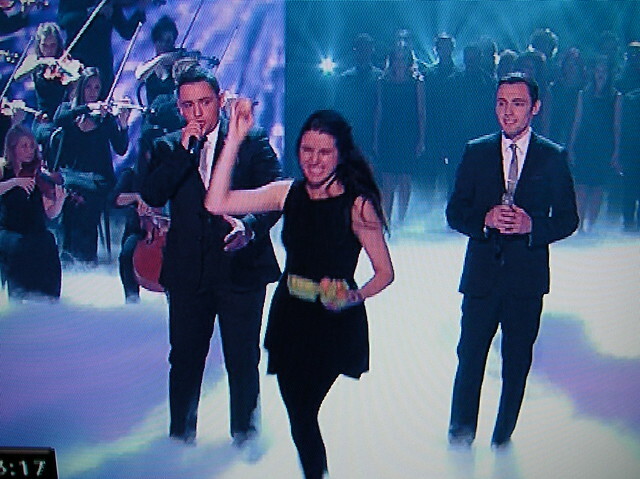 Natalie Holt was on stage as part of the backing orchestra ‘Raven Quartet’ – where she was bundled off stage by security guards while the finalists continued singing their version of The Impossible Dream. After the performance Simon Cowell was seen jacketless and it looked like the stage invader got at least one direct hit! 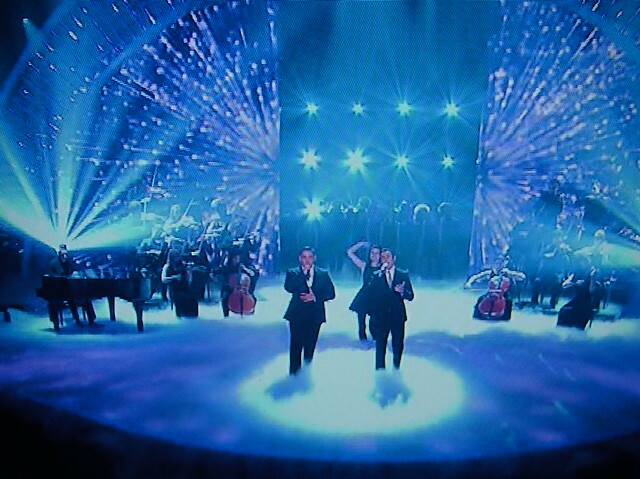 Im sure everything got cleared up in time for Britains Got Eggstra Talent on ITV2! Well worth a read if you want an insight into the inner mechanics of the Britains Got Talent juggernaut! Only days before the final was Simon Cowell tweeting about food where one of the responses was that he need a pickled egg! 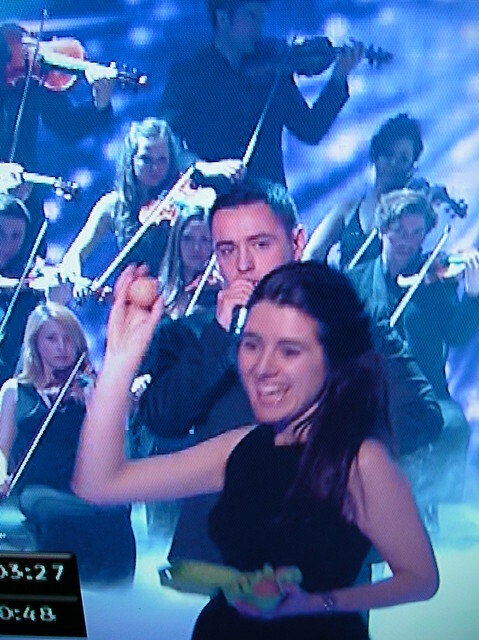 @SimonCowell you're missing a pickled egg ! I really don't like eggs. Richard and Adam, who did not stop singing during the egg-throwing, finished third overall in the competition – won by Hungarian shadow dance troupe Attraction. Stupid girl Hope she gets prosecuted !